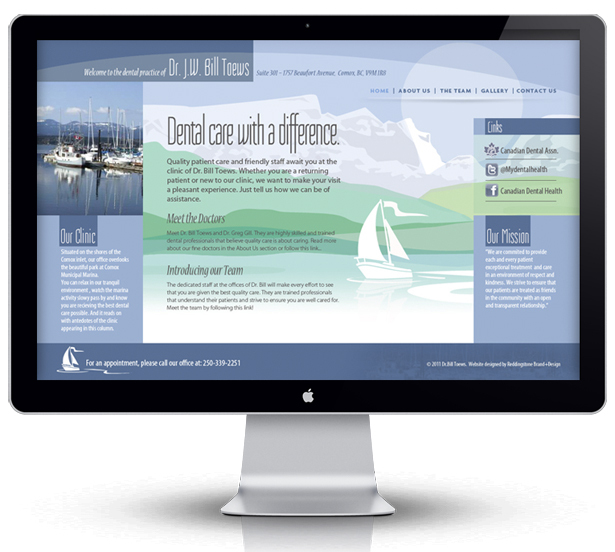 Located in Comox, British Columbia, Beaufort Family Dental needed a website to reflect the atmosphere of this bright seaside dental health centre. This is reflected in the light fresh colors and the unique animation that appeals to the Comox area clinic's marine setting. This Dental community website design has color and freshness in mind as well as a navigational system that is easy for potential clients to use in their search for quality dental health care.